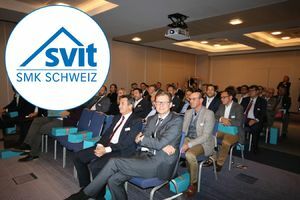 Only the real-estate business firms which fulfill the severe admission criteria can become members of the Swiss real estate agent's chamber SMK. The members bind themselves to the observance of the given state rules. With their technical knowledge, with transparent, fair performances and distinct sense of reality they exert themselves for the interests of the customers. As a conveyor member of the SMK we were present in the 12th general assembly of this year. Again the organization may look back at a great financial year.